Boone Guyton was one of the most prolific test pilots in US aviation history. 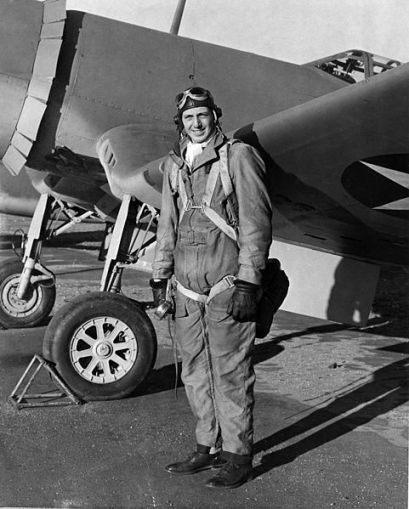 A long-time resident of Woodbridge, Guyton piloted over 100 different models of planes, including the Japanese Zero, the British Spitfire, and the American Chance-Vought Corsair. Counting among his friends the great Charles Lindbergh, Guyton was also one of the first Americans to fly a jet-engine plane, furthering the evolution of aviation safety throughout the 20th century. Boone Guyton was born in a small town in Illinois in 1913. He attended college in Missouri where he explored career paths in journalism and law. After graduating in 1935 and accepting a job to teach at a local high school, Guyton received a letter from the US Navy soliciting cadets to train as aviators in Pensacola, Florida. Later that year, Guyton became a navy pilot, serving on board the aircraft carriers Saratoga and Lexington prior to World War II. After completing his naval training, Guyton accepted a position with a commercial airline but United Aircraft, headquartered in Hartford, contacted him shortly after and asked him to test new Chance-Vought dive-bombers prior to their release to the French military. Guyton traveled to France to test planes, returning to the US in 1940 after the outbreak of hostilities in Europe. After Guyton took another commercial airline job, the Chance Vought Division of United Aircraft offered him a position as an engineering test pilot, which he readily accepted. 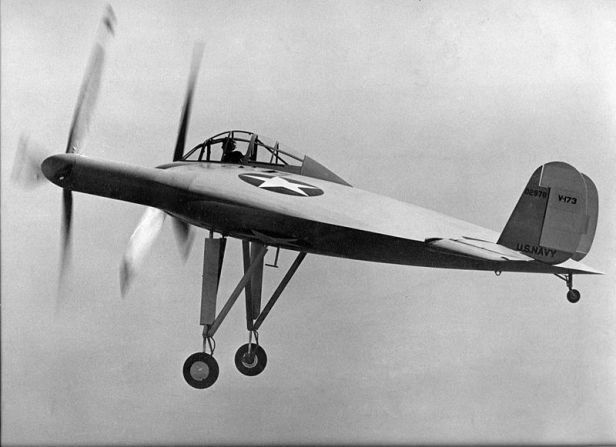 During World War II, Chance Vought tested planes nearly 24 hours a day, producing approximately 300 planes per month in need of testing, requiring Guyton to fly a wide range of new and experimental military aircraft throughout the war. Testing planes was dangerous work and numerous times Guyton found himself in trouble, sometimes making emergency landings on golf courses, mountainsides, or in snow banks. In March of 1943, Guyton flew an experimental navy fighter in the skies over New Haven when the plane’s engine died and he lost power. Using the wind to glide the plane to an airfield in Bridgeport, Guyton ended up crashing into a cement retaining wall, breaking his arm, leg, and pelvis, but he managed to be back up testing planes by the end of the year. Guyton served with Chance Vought from 1940 until 1951. After the division transitioned operations to Dallas, Texas, Guyton settled in Woodbridge and took a job with Norden Laboratories—a firm producing bomb sights and aerial navigation equipment in White Plains, New York, and Milford, Connecticut. Before retiring, he joined the Hamilton Standard Electronics Department, Broad Brook, as a sales manager in 1957. Guyton lived out his retirement in peace, authoring numerous works on his experiences. He died in 1996, having spent the last 40 years of his life as a resident of Woodbridge. “Vought XF4U-4 ‘Corsair.’” New England Air Museum, 2013. Link. Guyton, Boone T. This Exciting Air; the Experiences of a Test Pilot. New York; London: Whittlesey House, McGraw-Hill Book Company, Inc., 1943. Guyton, Boone T. Whistling Death: The Test Pilot’s Story of the F4U Corsair. New York, NY: Orion Books, 1990.